Named the #1 Non-Invasive Treatment by American Health and Beauty! Special Offer Try Venus Freeze for just $149! What Venus Freeze Does: Venus Freeze creates an intense thermal reaction and heating of tissues which can be used to shrink and destroy fat cells as well as tighten skin. After the treatment and as a result of intense heating the body’s natural healing response is triggered, new collagen is formed and new elastin fibers are produced which result in a contracting and tightening of the skin. Venus Freeze can be used to target fat cell s by heating them up to the point that they actually are destroyed or shrink dramatically. This process triggers the lymphatic system to remove cellular debris as a natural cleansing process. 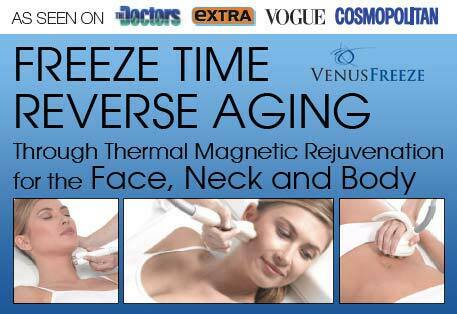 How Venus Freeze Works: Venus Freeze uses Multi-polar radio frequency and Pulsed Magnetic fields to drive heat through the skin and into the underlying dermis and tissues which causes a thermal reaction and tightens skin as well triggering the body’s natural healing response to produce new collagen and elastin fibers. It is a new technology BUT it is used for the same end result as other technologies such as Ultherapy, Thermage and other skin tightening and fat reduction devices. We prefer this device to others because it really works which is why it was named: “The #1 Non-Invasive Treatment available today” at the American Health and Beauty Awards. Using patented (MP)² technology, Venus Freeze creates multi-polar radio frequency and Pulsed Magnetic fields, forming a complex pattern of heat over the skin. The multi-polar radio frequency causes a thermal reaction in the tissue which stimulates the body’s natural healing response. As a result of this process, new collagen is formed and new elastin fibers are produced, contracting and tightening the skin, softening the wrinkles and reducing any cellulite. Discover a new you without Surgery! 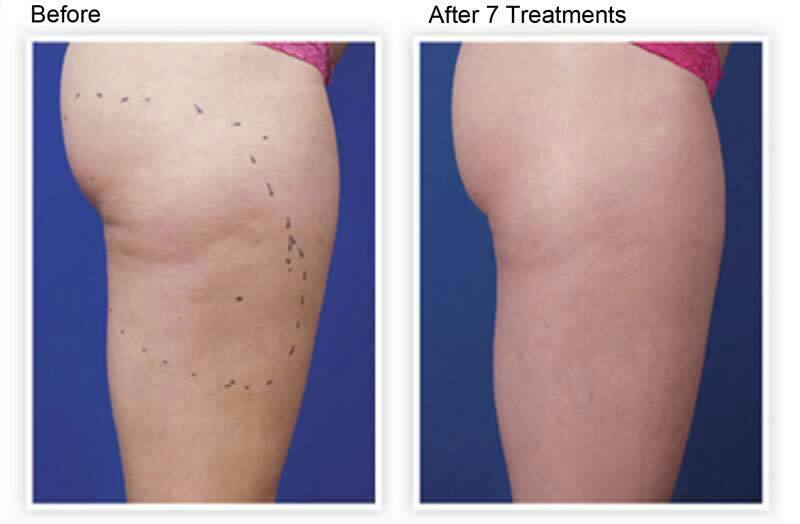 Simply put, Venus Freeze’s unique technology melts fat cells that reside under the skin’s surface. It causes the fat cells to literally open up and release their contents. Also, with the regeneration of blood vessels and the strengthening of collagen and elastin fibers, there is more support in the skin, reducing the telltale dimples associated with cellulite. See the difference! You Deserve to Look & Feel Your Best - Find out how you can with a Free Consult- Plus Get a $50 Coupon Sent to you Right Now to use on any non-surgical procedure over $199!